Hard to believe June is over; we’re halfway through July and I have just one PRIDE – Hotter Than July – left to attend. We’ve raised our rainbow flags across the country, marched and partied like there’s no tomorrow – no tomorrow when we go back to being second class citizens, separate and not equal. At every PRIDE across the country WE were celebrating the change that seems to be finally arriving. 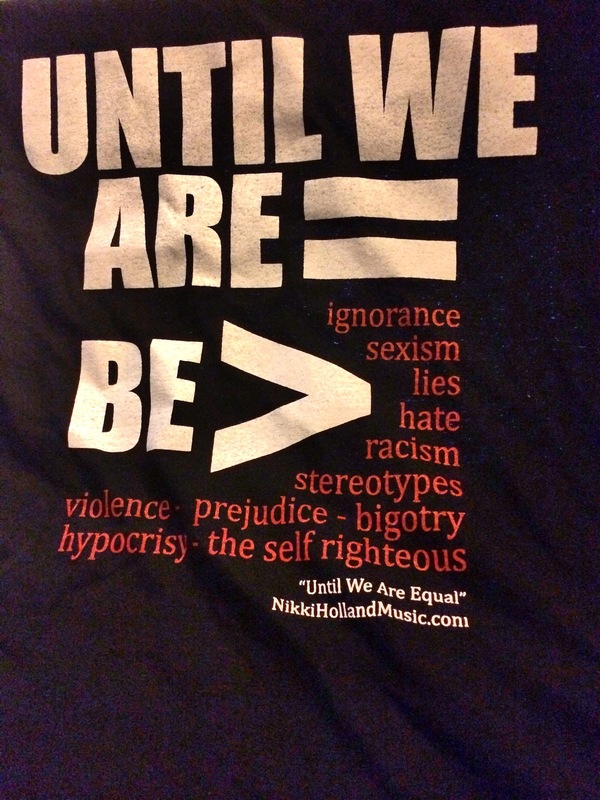 At Motor City Pride, singer-songwriter Nikki Holland was sporting and selling a t-shirt. 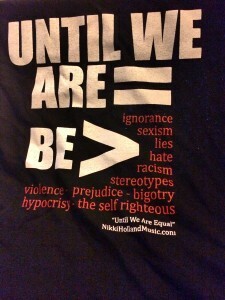 It said “UNTIL WE ARE =, BE > ignorance, sexism, lies, hate, racism, stereotypes, violence, prejudice, bigotry, hypocrisy, the self-righteous.